Our team of architects can set-up the proper infrastructure for your website so that it can scale and grow just like your business should. Without the proper architecture you will have site speed issues, resource constraints, and many other issues that we can solve for your business. We can help you plan out your sitemap to optimize for SEO, user experience, and future site growth. Hosting optimization is critical for the scalability and success of your website. Trellis can help you automate and optimize your development operations for quality assurance and speed. We can architect your CMS or eCommerce platform so that it is scalable for future improvements and ease of use. Your database is critical to growing and scaling your website over time. 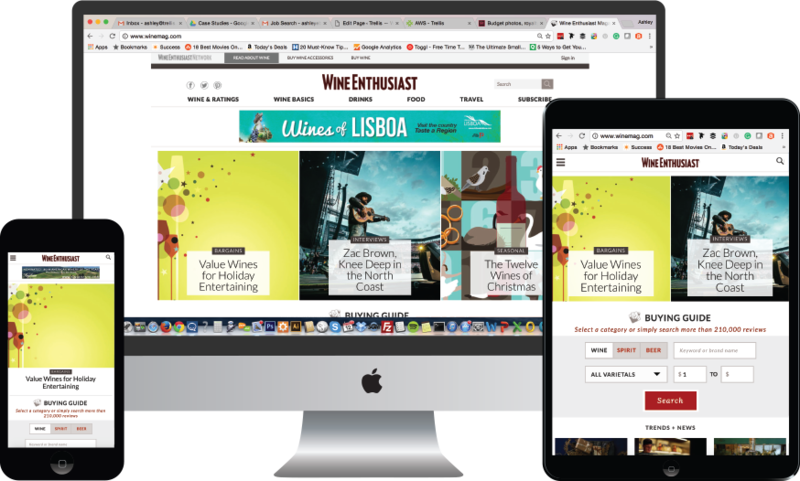 We scaled WordPress to amazing heights so that Wine Enthusiast Magazine could maintain hundreds of thousands of pages of content with WordPress and continue to grow indefinitely. Need help architecting your redesign?